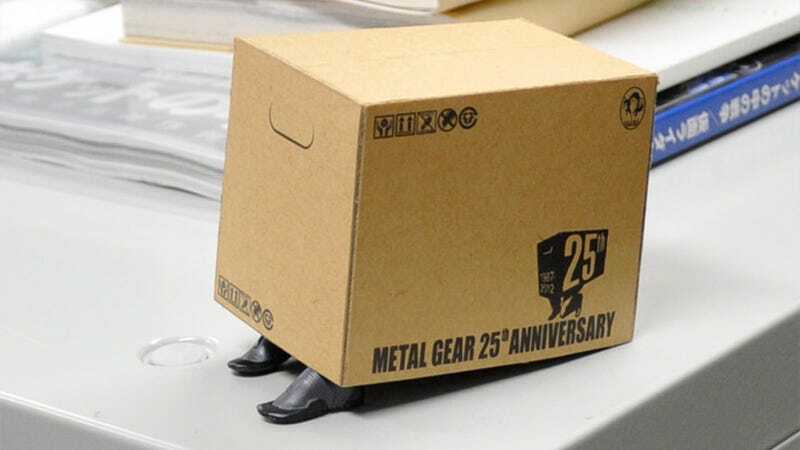 I'm not the world's biggest Metal Gear fan, but I can definitely appreciate a good action figure, especially one with a sense of humour. Like this 25th anniversary piece. We caught glimpses of the gag when the figure was first shown off earlier this year, but now that it's finished, we can see it in all its cardboard glory. It was released earlier this week in Japan, and should be around $40. See you favourite importer if you want to get your hands on one.